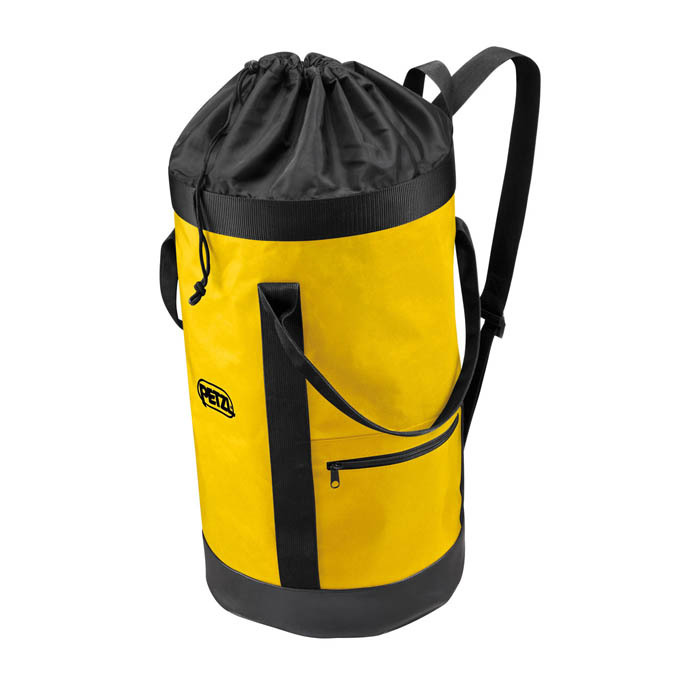 Petzl Bucket 35L Kit Bag remains upright and has an exterior folding lid system that allows easy access to the contents of the bag. External zippered pocket for personal effects. Transparent external window for sliding an equipment identification card. Two large, comfortable carrying handles with adjustable webbing for carrying bandolier style. Interior ring can be used as attachment point for rope and the bottom is lined for longer wear.